While the national debate about immigration can inflame tempers on both sides, I appreciate the refreshing antidote Just Neighbors offers as an organization that approaches immigration with a compassionate heart. Just Neighbors doesn’t play politics or raise a strident voice. Instead, it quietly pursues the mission it has supported for over 20 years to provide legal assistance to immigrants in Northern Virginia who can obtain status through the pathways U.S. immigration law offers, especially those who cannot afford legal fees. 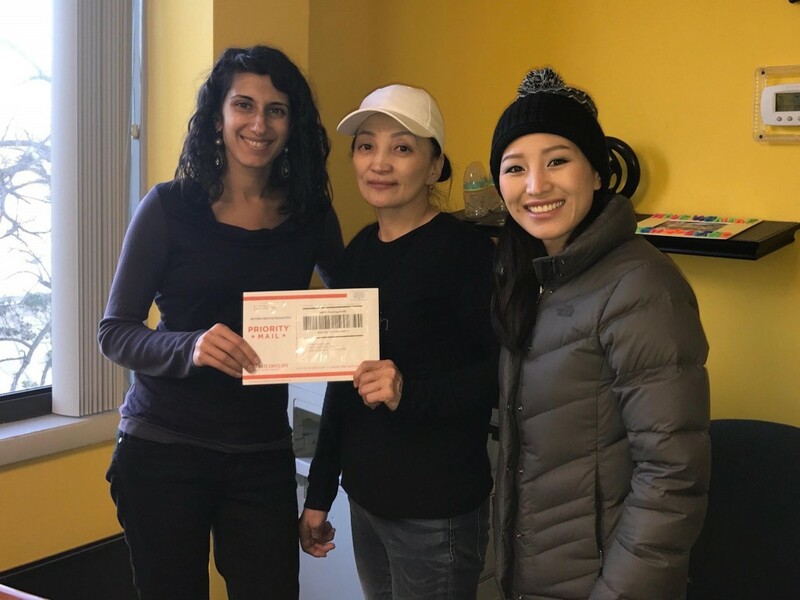 Over the years, Just Neighbors has helped over 10,000 people from just about every country in the world to get the visas, work permits, and even citizenship, to become contributing members of their adopted communities. For example, a husband and wife, both physicians, came as refugees from Iraq. When they contacted Just Neighbors they were overwhelmed with the new country and new language, studying to pass qualifying exams in the U.S., and caring for their toddler. Just Neighbors assisted the family to receive green cards. This family had the ability to thrive, they simply needed help getting on their feet after fleeing their homeland. Some clients have more complex situations. For example, “Mariela”, from Bolivia, whose status here depended on her U.S. citizen husband, who was abusing her. Using the provisions of the Violence Against Women Act, Just Neighbors helped her obtain a green card and establish an independent new life. As the Board Chair and not a lawyer, I am far from an expert on immigration law. I’m always learning, and what amazes me, is how complicated our immigration system is. It takes experienced immigration attorneys to sort through the thicket of rules, procedures and possibilities and find the right kind of help for each person. Just Neighbors staff attorneys specialize in what, to me, are very arcane matters. Even though they are sacrificing the significantly higher salaries they could earn in a firm, they love their work, and you can see them hugging clients when they bring the good news that a work permit has been approved. They especially love to hear how their clients fare afterwards. The staff attorneys determine how many people Just Neighbors can assist, and that’s why one of our top priorities is to reach the financial standing that would enable us to increase our legal staff from three to four attorneys. The staff attorneys time is golden for Just Neighbors, because every case must go through their hands. But one of the best things about Just Neighbors is how it uses volunteers to leverage that scarce resource. Volunteer attorneys assist staff attorneys in preparing cases, upping caseloads the organization can handle. In addition, ordinary folks like me can help with client interviews and office administration. 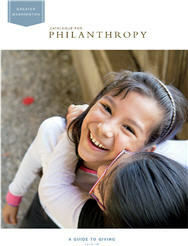 The organization seeks to give volunteers a chance to reach out in compassion to others. It believes that when volunteers connect personally with immigrants they see the individuals, and immigration itself, through new eyes. In fact, creating a welcoming community through volunteers is part of the mission. Volunteers save money too: the estimated value of donated time is about 80 percent as large as Just Neighbors total budget. Right now there is great uncertainty about the future of immigration policy, and that is putting stress on Just Neighbors while making its work more important, and a little different, from the past few years. For example, we don’t yet know whether the Deferred Action for Childhood Arrivals (DACA) program will be continued. DACA provides work permits for undocumented young adults who were brought to the U.S. as children, often called “Dreamers”. Just Neighbors has helped nearly 900 DACA applicants since the program began in 2013 and would like to continue to enable these young adults to take their places in society. In addition, the stepped up enforcement of deportation orders by immigration authorities is creating fear and uncertainty throughout the immigrant community. This leads Just Neighbors into a new role: responding to calls from people seeking answers and advice. Although Just Neighbors cannot assist those who have no legal pathway, it offers advice on how to respond if someone is stopped by the police, how to prepare for children to be cared for if the father or mother is deported, and what a person’s rights are in those circumstances. Just Neighbors is taking on this essential educational role on top of its regular caseload out of caring for the communities it works with, trying to get the word out to as many people in those communities as it can. One of the great things about Just Neighbors is that a relatively small (and really pretty inexpensive) intervention can make an enormous difference in someone’s life. When a person gets a work permit, escapes an abusive relationship, or rejoins a family, she often feels that her life has just begun. Just Neighbors gives its clients a tangible acknowledgment that they belong in this community and an ability to look at their future with confidence. I love it for that. Top-line findings from the report show that child poverty continues to plague the District and National Capital Region (NCR), with some of the highest child poverty rates in the country. 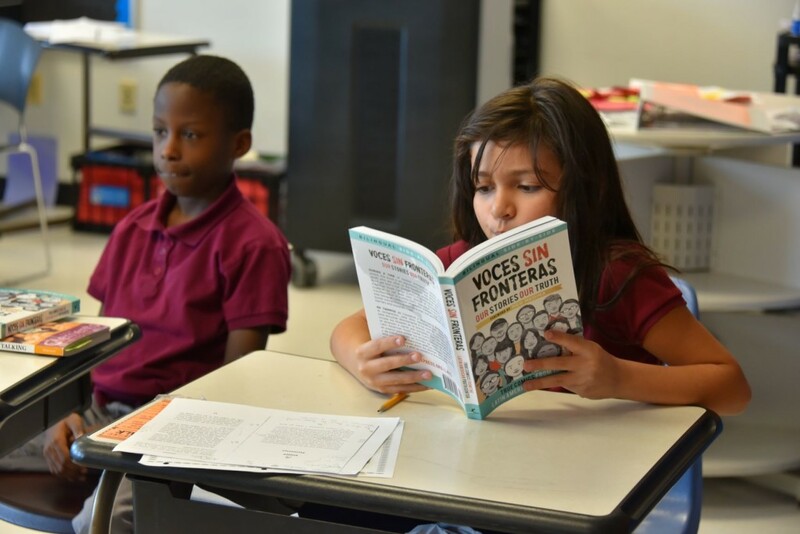 The report identified three other key trends and factors that influence the disparity among life situations of children within the NCR, in addition to the poverty factor: the opportunity divide, the achievement gap, and the immigration impact. The entire report is available for download online at http://capitalkidsreport.org/, and the accompanying website includes additional information on many areas explored in the study. - 41.5% of third graders in the District scored proficient in reading, a key indicator of future academic achievement.